Michael Schumacher News Update: F1 Legend Reportedly Spotted in Public For the First Time; Schumi Moved to Majorca? Michael Schumacher has not been seen in public since sustaining severe head injuries in 2013 following a freak ski accident. Also, since the mishap, the F1 legend’s health condition has been kept a secret so there were many speculations as what his real health status is such as being a “vegetable” and only feeding on tubes. But there were also rumors that debunked such claims and stated that Michael Schumacher had recovered greatly and was already in the stage of rehabilitation to regain his body movements. He was once put in a medically induced coma that lasted for months so people were suspecting that he may be immobile despite having woken up. 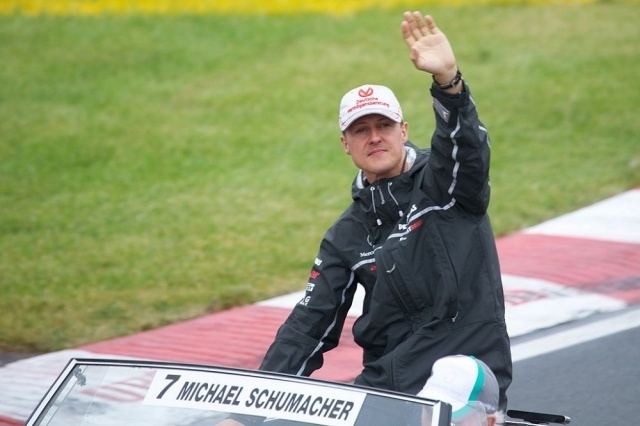 Whatever the truth, Michael Schumacher’s family assured the fans that Schumi is in good hands and doing great so far. The family made this announcement after informing everyone that they are celebrating the racing champ’s 50th birthday by opening a museum and launching an app. Now, Express reported that Michael Schumacher was spotted in public for the first time. The paper stated that he was seen in Mallorca Island’s Port d'Andratx as he touched down via a helicopter. It was the neighbors who allegedly saw Michael Schumacher and they said that he is heading to his own £26 million mansion located on the island. Medical staff reportedly accompanied the legendary racer as he was being transported to the island to his vacation home. The Daily Mail added that neighbors saw Michael Schumacher on a wheelchair but they could not see the exact state of his health. His family was also in Majorca and it seems that they are spending a long vacation in the area. Friends of the champ commented that this new atmosphere is helpful to Schumi’s path to recovery. Michael Schumacher’s Majorca mansion boasts of swimming pools, helipad, acres of garden and a stunning view of the sea.